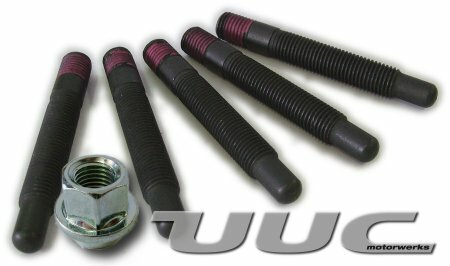 UUC offers the BMW market the Ultimate Wheel Stud. 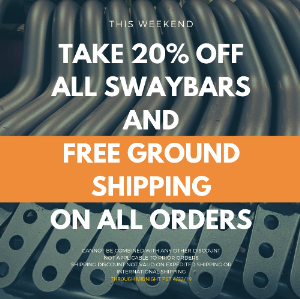 Many lower cost, high-strength bolts and studs are made from inferior steel that fails suddenly when heavily loaded. This is typical of brittle metals that claim ultra-high strength while offering poor toughness and resilience. This results in wheel studs that literally snap in two while cornering hard or when accidentally overtorqued. To avoid the problems with lower quality hardware, UUC worked closely with the one of the top manufacturers of fasteners in the USA to engineer a wheel stud that is not only ultra-high strength but also very tough and resistant to fatigue failure. UUC’s Ultimate Wheel Studs will not fail suddenly if overloaded or overtorqued and will remain strong over years of track and racing use. Additionally, the Ultimate Wheel Stud features a zinc plating to virtually eliminate rust, and an unthreaded shank to prevent cross-threading the lug nut. These studs can be used with up to a 20mm spacer. Why risk your safety and valuable racecar with studs that can bend or fail?